Read more about DPIC Analysis: What is the Most Number of Executions Carried Out in a Single Day? Drawing on their experience in the criminal justice system, elected law enforcement officials in Washington and Texas have urged repeal of their states' death-penalty laws. In Washington, King County (Seattle) prosecutor Dan Satterberg (pictured, left), a Republican, testified January 22 before the Senate Law and Justice Committee in favor of a bipartisan legislative proposal to repeal Washington's capital-punishment statute. Telling the Texas Tribune “[w]e’re killing the wrong people,” former Dallas County sheriff Lupe Valdez (pictured, right), currently a candidate for the Democratic Party nomination for governor of Texas, announced her opposition to Texas's death penalty. Satterberg's testimony came on the heels of an op-ed he wrote in The Seattle Times in support of SB6052, a bill that would prospectively abolish capital punishment. Satterberg, who has worked in the King County prosecutor's office for 27 years and witnessed Washington's last execution in 2010, wrote: "It is my duty to report that the death penalty law in our state is broken and cannot be fixed. It no longer serves the interests of public safety, criminal justice, or the needs of victims." Sitting alongside Democratic Attorney General Bob Ferguson, Satterberg told the committee, “If you look at it carefully and take away the politics and the emotion, by any measure this doesn't work. Our criminal justice system would be stronger without the death penalty.” The abolition bill was introduced by Republican state Sen. Maureen Walsh, with bipartisan co-sponsorship, at Ferguson's request. In a news release, Ferguson said: “The death penalty is expensive, unfair, disproportionate — and it doesn’t work. More than a third of all U.S. states have abolished the death penalty. Washington should join them.” The bill passed the committee by a 4-3 vote on January 25. In a Texas candidate's forum in Austin, Valdez—who served as sheriff from 2005 to 2017 before resigning to run for governor—referenced on-going concerns about wrongful capital convictions and wrongful executions. “Some of those [sentenced to death in Texas] have been exonerated," Valdez said. "We cannot continue being in a situation where we risk killing a person who is not guilty.” Since 1973, 13 people have been exonerated from death row in Texas, and questions have been raised about the guilt of several executed prisoners, including Carlos DeLuna, Cameron Willingham, and Robert Pruett. Valdez joined another leading Democratic contender for governor, businessman Andrew White, in opposing the death penalty. Incumbent Governor Greg Abbott, a former Texas attorney general, is a strong supporter of capital punishment. 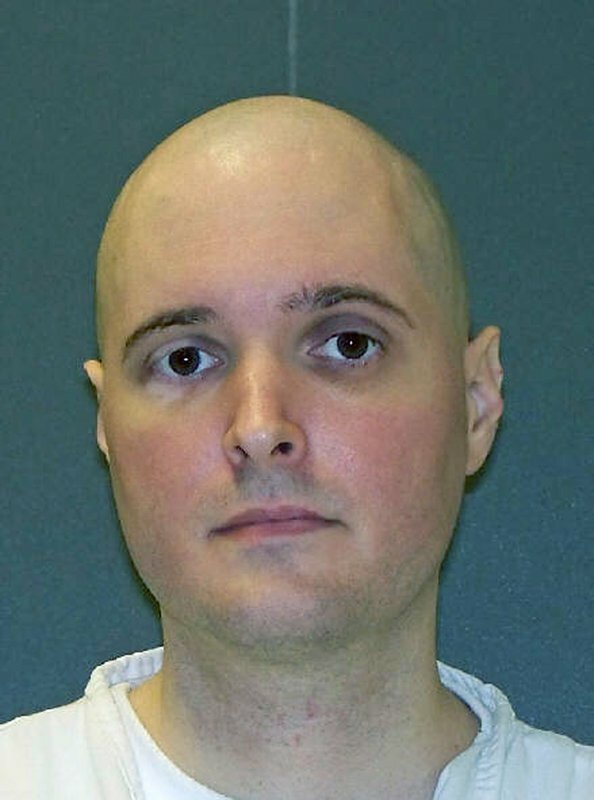 Kent Whitaker, who survived a shooting in which his wife, Tricia and younger son, Kevin were murdered, has asked the state of Texas to spare the life of his only remaining son, Thomas “Bart” Whitaker (pictured), who was convicted and sentenced to death for their murders. Kent Whitaker told the Austin American-Statesman, “I have seen too much killing already. I don’t want to see him executed right there in front of my eyes," he said. The petition for clemency filed on January 10 by Bart Whitaker's lawyers asks the Texas Board of Pardons and Paroles to recommend commuting his death sentence to life without parole, saying the execution—scheduled for February 22—will “permanently compound” Kent Whitaker's suffering and grief. The petition asks the Board: “Is killing Thomas Whitaker more important than sparing Kent Whitaker?” Texas prosecutors have argued that Bart Whitaker arranged with an acquaintance in 2003 to murder his family as part of a plot to collect a $1 million inheritance. Bart's father, however, believes "[i]t was never about the money. ... The prosecution always way overexaggerated my wealth because that played into their arguments,” he said. Instead, he believes his son had been suffering from unrecognized mental-health issues at the time of the murders. The clemency petition is supported by more than 60 letters from family members, friends, teachers and counselors, religious leaders, and fellow death-row prisoners. Fort Bend county District Attorney John Healy mocked the letters as coming from "a noble group of supporters." In an emotional op-ed published on January 18 in the Houston Chronicle, Kent Whitaker defended his son's supporters, saying it "is a noble group: people who knew Bart and have seen him grow and change." The clemency petition, Kent Whitaker wrote, "tries to correct the district attorney's over reach in pursuing the death penalty and how it will once again hurt all of the victims. For 18 months pre-trial, every victim—my wife's entire family, me and all of my family—actually begged the district attorney to accept two life sentences and spare us the horror of a trial and an eventual execution. But we were ignored.” Kent Whitaker writes that the clemency petition "is asking the board to acknowledge that Texas is a victim's rights state, even when the victim asks for mercy.” He says that he knows his late wife and son would not want Bart, who he says has matured and bettered himself while in prison, to be executed. Kent told the American-Statesman that he did not want to see the execution, "[b]ut I can’t imagine letting him be in the room by himself without anyone there with him. ... As he goes to sleep, I want him to be able to look at me and see that I love him.” he said. The man who carried out the killings received a life sentence after pleading guilty to murder. The getaway driver, who also could have faced the death penalty under Texas law, was permitted to plead to a 15-year prison term in exchange for testifying against Whitaker. When Anthony Graves (pictured) was exonerated from death row in Texas in 2010, he decided that he would use his personal experience as a catalyst for redressing the "injustice of the justice system." 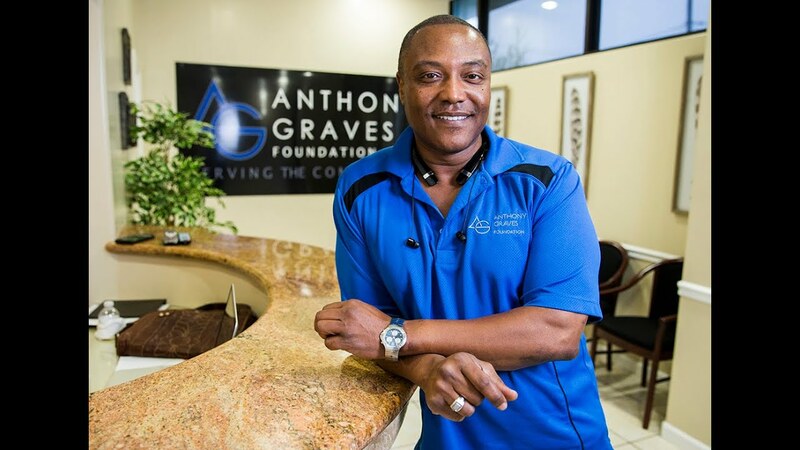 After receiving $1.45 million as compensation for the 18 years he was wrongly incarcerated, including twelve years on death row, the nation's 138th death-row exoneree created the Anthony Graves Foundation. Over the past two years, Graves has personally contributed more than $150,000 of his compensation funds as part of the fledgling nonprofit's expenditures towards freeing other innocent prisoners and providing health-care services to recently released prisoners who lack the means to pay for medical treatment. Graves was wrongly convicted and sentenced to death as a result of what the Texas State Bar described as "egregious" prosecutorial misconduct. Now disbarred for his actions, prosecutor Charles Sebesta presented false testimony from a witness implicating Graves in the murder while at the same time withholding from the defense a confession that the prosecution's witness had actually committed the murder. As in most death-row exonerations, there was no DNA evidence in Graves's case. Upon his release, Graves helped in the exoneration of Alfred Dewayne Brown, another no-DNA case, in which prosecutors suppressed a phone record that showed Brown could not have been at the scene of the crime when the murder occurred. The Graves Foundation then started The Humane Investigation Project, focusing on labor intensive non-DNA cases that Innocence Projects rarely take. “A lot of guys fall through the cracks because of the criteria of these projects,” Graves said. “I’d be dead today, because I had no DNA in my case.” Among other cases, Graves is currently working to exonerate still-incarcerated former Texas death-row prisoner Nanon Williams. When Graves was freed, doctors told him his arteries were clogged, the result of poor diet and health care. Because of his compensation settlement, however, he had money to see a doctor—a rarity for most people recently released from prison. Recognizing the severity of the health crisis faced by released prisoners, the Graves Foundation opened a small health clinic in March 2016 to provide low-cost and free care to those recently freed and to their families. Paul Cates, spokesman for the New York-based Innocence Project, said many exonerees feel like Graves, compelled to fight for change in a criminal justice system that wrecked their lives. “It doesn’t destroy their souls, and almost all of them somehow find a way to get beyond what happened,” Cates said. The prospect of helping those whose shoes he's been in continues to motivate Graves. “I always stay positive,” he said. “That’s how I came home.” It is a worldview summed up in the title of Graves's new book, Infinite Hope: How Wrongful Conviction, Solitary Confinement, and 12 Years on Death Row Failed to Kill My Soul, scheduled for release on January 16, 2018. 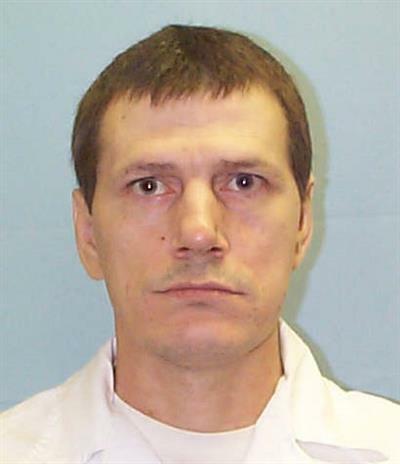 The Texas prosecutor who sought and obtained the death penalty almost 20 years ago against Jeffery Wood (pictured), a man who never killed anyone, has now asked that his sentence be reduced to life in prison. In a letter to the Texas Board of Pardons and Parole, sent in August and obtained December 7 by the Texas Tribune, Kerr County District Attorney Lucy Wilke asked the board to recommend that Governor Greg Abbott grant Wood clemency and commute his sentence to life in prison. In 1998, Wilke—then an assistant district attorney—prosecuted Wood for the 1996 murder of Kriss Keeran, a Kerrville convenience store clerk who was shot to death by Wood's roommate, Daniel Reneau, while Reneau was robbing the store. 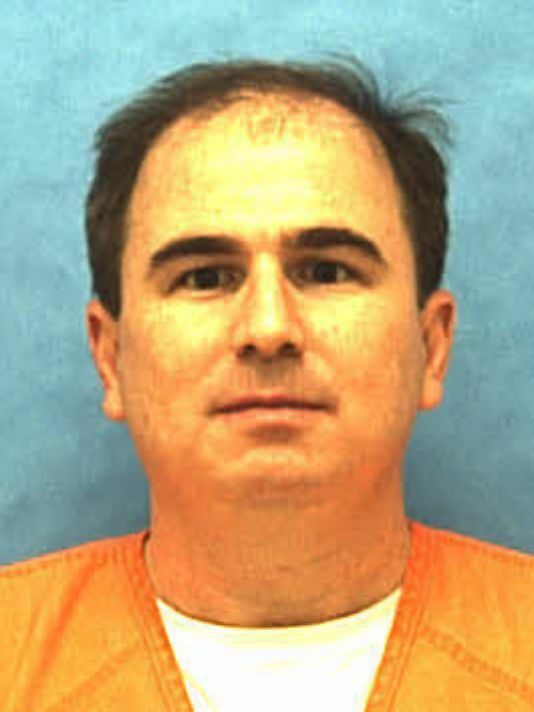 Reneau was executed. Wood, who has denied that he had any knowledge that Reneau was going to commit a robbery or had taken a gun into the store, was sitting outside in the truck when the shooting occurred. He was prosecuted for murder and sentenced to death under Texas’s felony-murder statute, commonly known as the law of parties, which holds an accomplice liable for the actions of every other participant in the crime, even if the accomplice did not know and did not intend that a murder would occur. 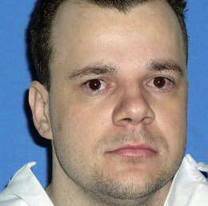 Wood's case drew national attention when the state scheduled his execution for August 2016. At that time, a broad range of groups, including evangelical leaders, state representatives, and editorial boards, called for Wood to be spared. More than 50 House members of both parties signed on to a letter written by conservative Rep. Jeff Leach asking Gov. Abbott and the pardons board to reduce Wood's sentence. 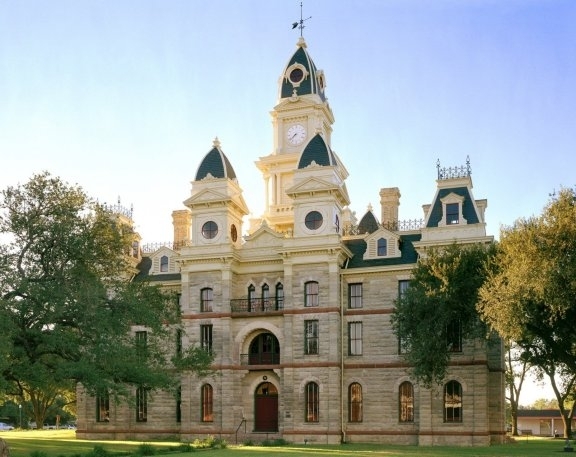 Six days before his scheduled execution, the Texas Court of Criminal Appeals stayed Wood's execution on unrelated grounds, sending his case back to the Kerr County trial court to review Wood’s claim his death sentence was the product of false predictions of future dangerousness by a psychiatrist, Dr. James Grigson, who had been expelled from the American Psychiatric Association and Texas Society of Psychiatric Physicians for his unprofessional practices. "Had I known about Dr. Grigson’s issues with said organizations, I would not have used him as the State’s expert witness in this case on the issue of future dangerousness,” Wilke wrote in the letter. Although Wilke actively pursued the death penalty against Wood, she told the pardons board that “the penalty now appears to be excessive.” “While I am aware that requests for clemency in Death Penalty Capital Murder cases are normally considered when there is an execution date pending,” Wilke wrote, “I respectfully ask that you consider this request for commutation of sentence and act on it now, in the absence of such an execution date, in the interest of justice and judicial economy." Along with the fact that he wasn't the shooter, Wilke cited Wood's below-average IQ of 80, his history of nonviolence, and Dr. Grigson’s testimony as grounds for clemency. The letter was co-signed by Kerrville Police Chief David Knight, who was an officer at the time of the murder, and District Court Judge Keith Williams, who is presiding over Wood's challenge to the constitutionality of the prosecution's use of "false testimony and false scientific evidence" from Dr. Grigson.